For all its multicultural prowess, San Francisco has never done Jewish deli successfully. All that changed in 2012 with the opening of Wise Sons, and you can hear the echo of a million Jewish mothers shouting “mazel tov.” Evan Bloom and Leo Beckerman have not only nailed it, but done so in a uniquely Northern California way with reinterpreted classics such as house-smoked pastrami on rye with handmade pickles, just-salty-enough chopped liver, and rich, veggie-filled matzo ball soup (self-deprecatingly described as “not as good as your bubbe's”). 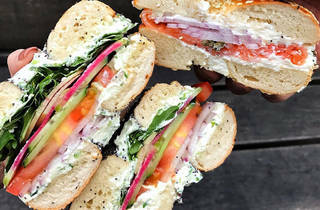 For breakfast, choose from a curated variety of bagel flavors, then snag a shmear. 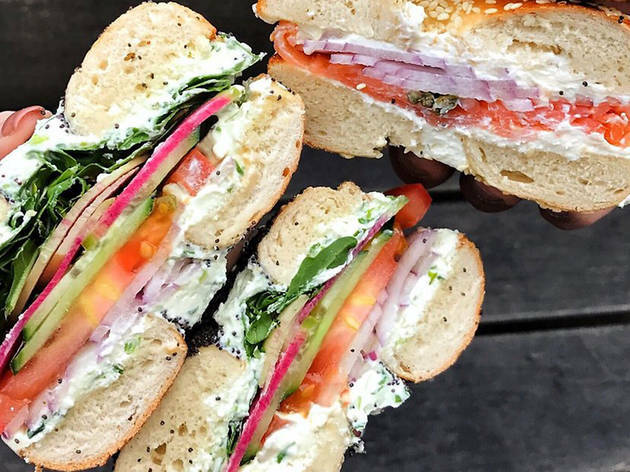 Or go for the gold with one of their stacked bagel sandwiches, like the bodega egg and cheese with the added option of crispy pastrami. There's also freshly baked bread to take home, and plenty of Intelligentsia coffee.